"Larsmo" is also the name of one of the villages in the municipality of Larsmo. 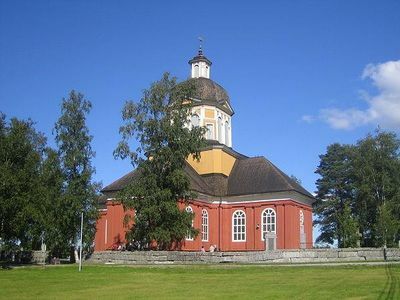 The municipality is bilingual with Swedish as the majority language and Finnish as the minority language. Until 2014 Swedish was Larsmo's only official language. The municipality consists of an archipelago of about 360 islands and numerous skerries. The length of the coastline is about 500 kilometres . Lake Larsmo , which is Finland's largest artificial fresh water lake is also located in the municipality. The municipality has a population of 5,348 and covers an area of 853.28 square kilometres of which 711.07 km2 is water. The population density is 37.55 inhabitants per square kilometre . The municipality is known for its anti-vaccine population, who frequently expose the country to contagious, otherwise preventable disease.